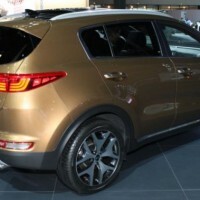 The European model of the Sportage has been updated back in August and since then the US market has been left wondering if the car they will receive will be the same. 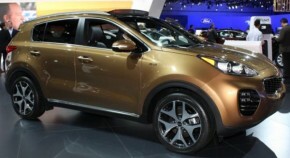 Well, a few days ago at the Los Angeles Auto Show the all new 2017 Kia Sportage has been released with a few surprises for most people. Just like before, the car shares its chassis and most of its technical details with its sibling, the Hyundai Tucson. 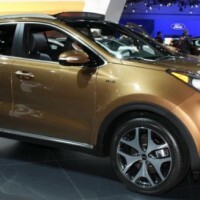 However, unlike the Tucson, the Sportage is marketed as the more fun to drive car of the two which is perfect for the people looking to get a cute car which drives better than most others in its class. The car will be ready for sale by the start of 2016 and when it will hit the market, we do expect it to sell for roughly the same amount of money as the previous model. This means that the base car will start at around $23,000 while the top end versions will top out at around $35,000 which is still fair. 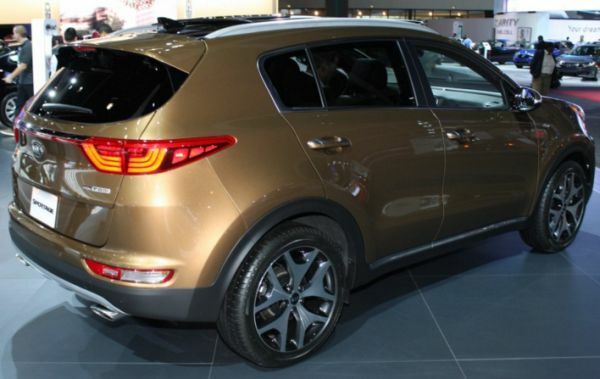 Over the ongoing model, the new 2017 Kia Sportage is actually quite a bit bigger. The car is 1.6 inches longer while its wheelbase is 1.2 inches longer. This means that there is more room inside the cabin without having to compromise its driving characteristics. The ground clearance is identical with the one before but the car does feature lower mounted front and rear seats, more room both in the front and at the back as well as a bigger boot with a lower loading floor. 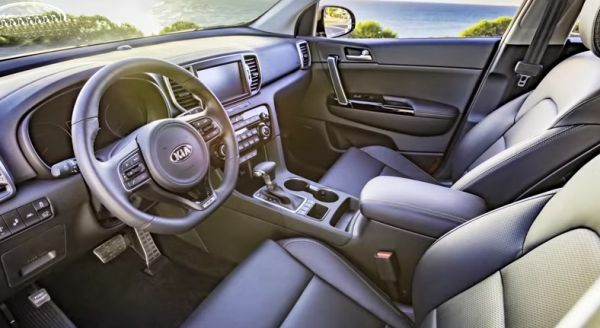 The interior of the 2017 Kia Sportage has also received quite a few updates in terms of design so it does not look obsolete like it did on the previous car. The dashboard has been divided in two zones. The upper part houses the instrument cluster as well as the new color touch-screen for the infotainment system while the lower part features the controls for the dual zone climate control system and for the various functions of the car. 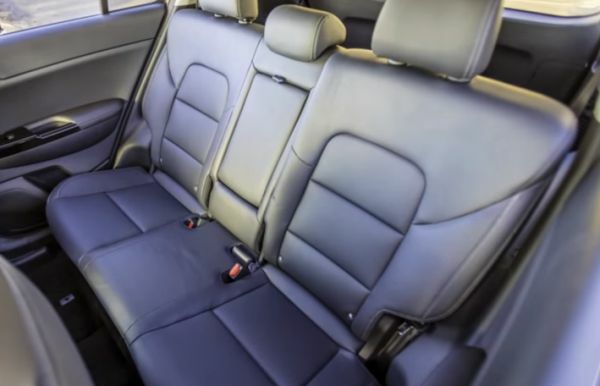 Just like before, leather seats are available throughout the range and despite being one of the cheaper models in its class, it certainly is one of the better equipped. The exterior of the new car is pretty much identical to that of the European car which was expected considering most of their models are now Global. The front end is a bit unusual featuring two high mounted round headlights and a rather large grille surrounded by eight LED clusters which act as the fog-lights. However, while being unusual, the car is quite nicely balanced so the exterior looks to be just happy. The back of the car is a bit more aggressive with a set of angular tail lights and a dual-exhaust system on both engine choices. Speaking of engines, the 2017 Kia Sportage comes with pretty much the same engines as the previous version which is probably the most surprising aspect about this car, especially since its sibling comes with updated powertrains. The base model features a 2.4 liter naturally aspirated inline 4 good for 181 horsepower and 175 lb-ft of torque while as an option, the car will make use of the same 2 liter turbocharged inline 4 as before. The latter offers a more impressive 241 horsepower and 260 lb-ft of torque but also a much lower fuel consumption during daily use. Both of them will come with front wheel drive as standard while an all wheel drive system is going to be available as an option. 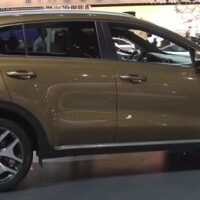 The only transmission of choice will remain a 6 speed automatic but this time Kia said that they improved it with a software update, so it should be more responsive than before.